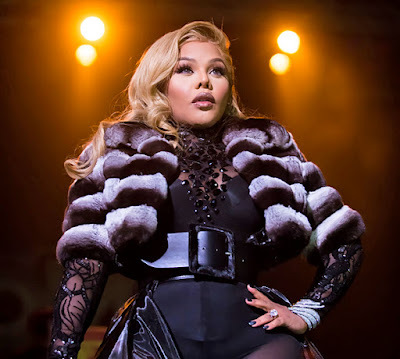 ESSENCE Festival is going on this weekend in New Orleans & The Bad Boy Family will be in attendance, but it's leading lady Lil' Kim will be a no show. The raunchy rapper announced that she will not be performing with Puff Daddy & The Family. According to a statement that was released via a rep, "due to unfulfilled business obligations" is why she won't be rocking the stage in NOLA. "She's saddened by this news, but matters are not within her control." Just a month ago everything seemed to be going good when Kim joined Puff Daddy & The Family for a reunion show at Brooklyn's Barclay's Center. While she may not be on stage with them for the festival you can definitely catch her on tour with when it kicks off on August 25th in Columbus. She took the time to thank ESSENCE & her loyal fans for always supporting her career & hoped that she would have the opportunity to be apart of the big event when it happens next year. On July 11th, Kimberly Jones will be honored at VH1's Hip-Hop Honors: All Hail The Queens that'll be taking place in her home of New York City.